The City of Castle Pines is statutory city located in Douglas County, Colorado. The City of Castle Pines North was approved by popular vote on November 6, 2007, and officially incorporated with the first election of municipal officers on February 12, 2008. At the time of incorporation, Castle Pines was Douglas County’s first new city since 1995, and Colorado’s 271st municipality. The city’s stated vision is to “Enhance our community’s unique character by ensuring excellent infrastructure, safe neighborhoods, maximum citizen participation and conscientious development that balances open space, residential and commercial uses.” The city incorporated as a statutory city under Colorado law and follows the Mayor-Council government system. The City of Castle Pines North approved by popular vote on November 2, 2010, and was officially renamed to The City of Castle Pines. The city lies in the Colorado Piedmont on the western edge of the Great Plains. Happy Canyon Creek runs north-northeast through the western part of the city, and Newlin Gulch and its tributary, South Newlin Gulch, run north-northeast and north, respectively, through the eastern part of the city. All three streams are part of the Cherry Creek watershed. 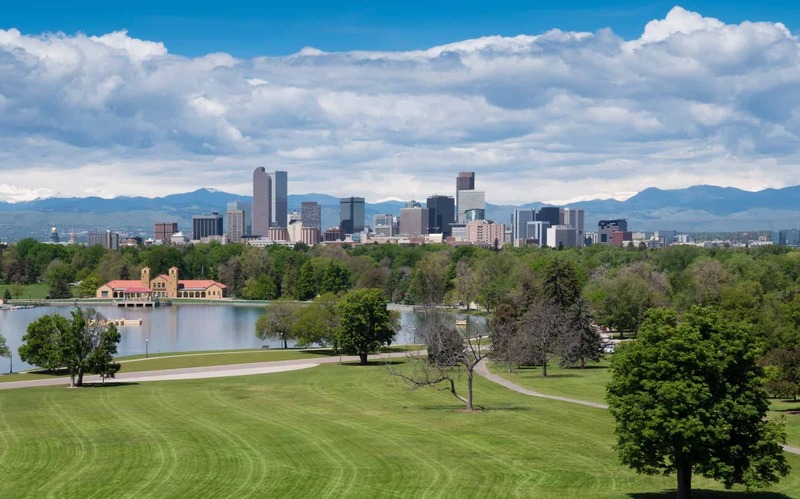 Lying within the Front Range Urban Corridor, the city is part of the greater Denver metropolitan area, and it borders two communities to its south: Castle Pines Village and Castle Rock, the county seat. The City of Castle Pines is a statutory city and follows the Mayor-Council government system. The City receives the majority of its revenue through sales and use tax collections. The City receives a portion of the revenue collected through property taxes, but these dollars are dedicated to fund law enforcement. The City of Castle Pines belongs to Colorado House District 45 and Colorado Senate District 4. Council members make policy decisions on a variety of city issues, such as approving the annual city budget. They are given the authority to approve resolutions, and enact and provide for the enforcement of ordinances, which are city laws. They also appoint the City Manager, who serves the Council and citizens and is responsible for city staff and day-to-day management. Castle Pines is governed by a Mayor and six City Council members. The City is divided into three “Wards” of approximately 3,500 residents. Each Ward is represented by two City Council members with staggered four-year terms. The City Council elects, by majority vote, a Mayor Pro Tem who is expected to perform responsibilities of the Mayor when he or she is absent or unable to perform their duties. The City Council meets on the second and fourth Tuesday of each month and may schedule additional special meetings as needed. The Mayor presides over the meeting using an agenda. All meetings are open to the public and subject to Colorado Open Meeting Laws.